Our Novato Campus is not just for adoption and training. Our campus is located on 6 1/2 acres in Marin County. The sprawling grounds have an established landscape with parks, walking spaces, fountains, and ample free parking. A number of campus facilities – including our auditorium, classroom, conference room, pavilion and kitchen – are available for limited community use. For the past 12 years, Marin Humane has been able to offer its private dog parks to the public. However, to successfully adopt out all the dogs who come through our doors and to help keep them in their new homes, we need dedicated space to host dog behavior modification sessions, behavior consultations, and provide locations for staff and volunteers to safely walk adoption dogs off leash. Access to outdoor space directly relates to our ability to provide quality behavior enrichment to dogs in our care and important services to dog guardians needing help. Beginning February 15, 2019, both the Large and Small Dog Parks will be used solely by Marin Humane staff and volunteers for shelter dogs and behavior consultations. Public use of the dog parks will no longer be available. 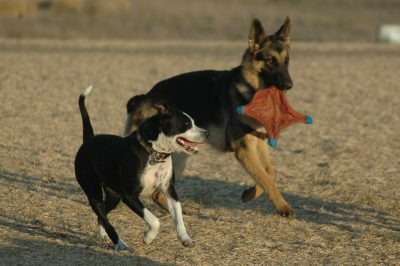 For a list of dog parks and other fun activities to do with your dog in Marin County, check out our resource page. We’re sorry we can no longer offer this private space to the public and we thank you for your understanding. If you have further questions, please contact Chief Administrative Officer John Reese at 415.506.6260, jreese@marinhumane.org or Chief Executive Officer Nancy McKenney at 415.506.6200, nmckenney@marinhumane.org. To reserve a gathering place, please complete the Facility Use Agreement or contact us at 415.506.6250 for more information. Discounts are offered to Marin Humane Major Donors, nonprofit organizations, and for multiple locations. Restaurants and hotels near the Marin Humane Novato Campus. Theater-style cushioned seating with fold-away writing platforms, raised stage, integrated sound system, overhead projector, wireless and direct internet, and lectern. Open classroom with large display monitor, wireless and direct internet, phone connection, dry-erase white board, small sink and counter, pass through to kitchen, small patio. Not available during Summer Camp, June through August. Conference table for 14, large display monitor, wireless and direct internet, phone connections, dry-erase white board, and buffet counter. 100’ x 50’ open building with bleachers, cement floor, heating and giant circulation fans, and large garage style doors. Available only on holiday weekends. 25’ x 25’ open area adjacent to Auditorium, Education Room, and Kitchen, with buffet counter. Available only when renting other facilities on campus. Residential style with stove, oven, microwave, counter space, two double sinks, and pass-through to Education Room. Available only when renting other facilities on campus. Field Of Daisies (6,700 s/f) and Redwood Dog Park (4,100 s/f). Fenced grassy parks. Available only when renting other facilities on campus. Unfenced 180’x 100’ grass lawn. Available only on holiday weekends and when renting other facilities on campus. Tables, chairs, umbrellas, and limited kitchen and AV equipment are also available for rent.